Riddle’s sure been changing quickly since we launched back in 2014. 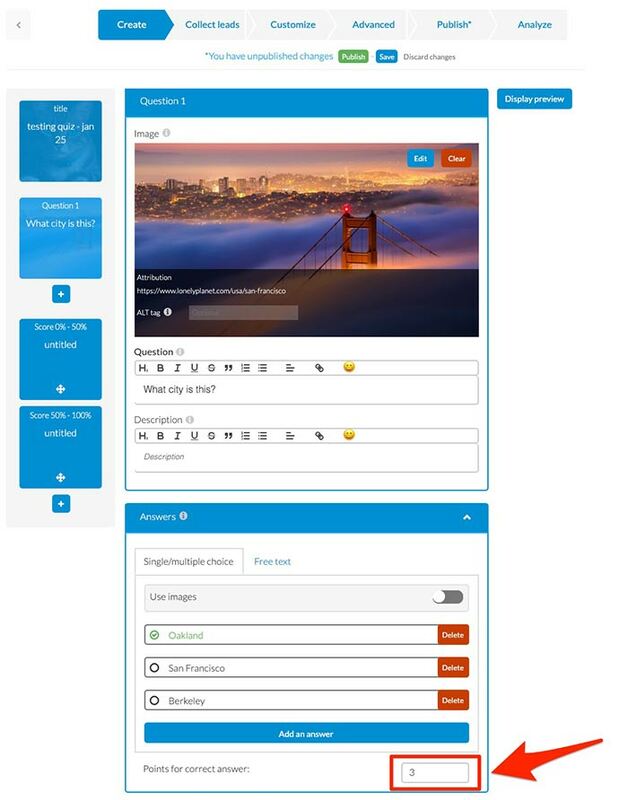 Back in the day, we initially designed our quizzes so that each question was worth one point. And that worked well – but we kept getting a number of requests for more flexibility. For example, many users wanted to make hard questions worth more than the easier ones. In the ‘answer section’ of each question – change the ‘points for correct answer’. By default, questions are worth 1 point – but you make each question differing value.